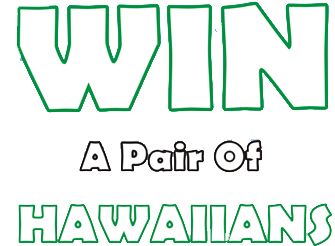 1 Add any 4 Pairs to the Try for Free cart and we will ship them to you free... from Hawaii! 2 Once your eyewear arrives, you have 5 days to try them out... and embrace a little bit of that island feeling ! 3 Keep the pair(s) you love and send the rest back to us with the enclosed prepaid mailing label. Get Started. You deserve better... you deserve high performance quality Italian made eyewear that is so durable that it’s backed with a Lifetime Warranty... and you deserve it at a fair price. You’re delighted at the convenience of trying on a selection of eyewear in the comfort of your own home at absolutely no cost to you. You dig that a portion of your purchase goes directly to charity and you don’t mind being rewarded with an extra little perk. You deserve better. Sign up for the coconut wireless and you will be enterered in to win a pair of our polarized eyewear every week !